Home » Uncategorized » Welcome to the Norwegian Home Guard! Welcome to the Norwegian Home Guard! For the third year in a row, Charles Kapsner has welcomed members of the Norwegian Reciprocal Troop Exchange to his studio. Shown here is Kapsner presenting Lt. 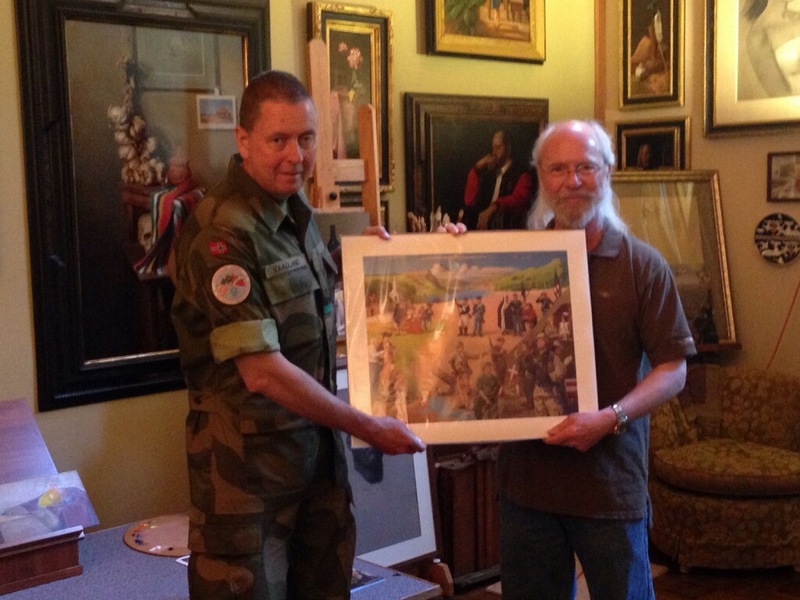 Colonel Per Olav Vaagland with a giclee print of the US Army, the first painting completed for the Veterans Project. Kapsner is also joined by several members of the Norwegian Home Guard at the Committal Hall. 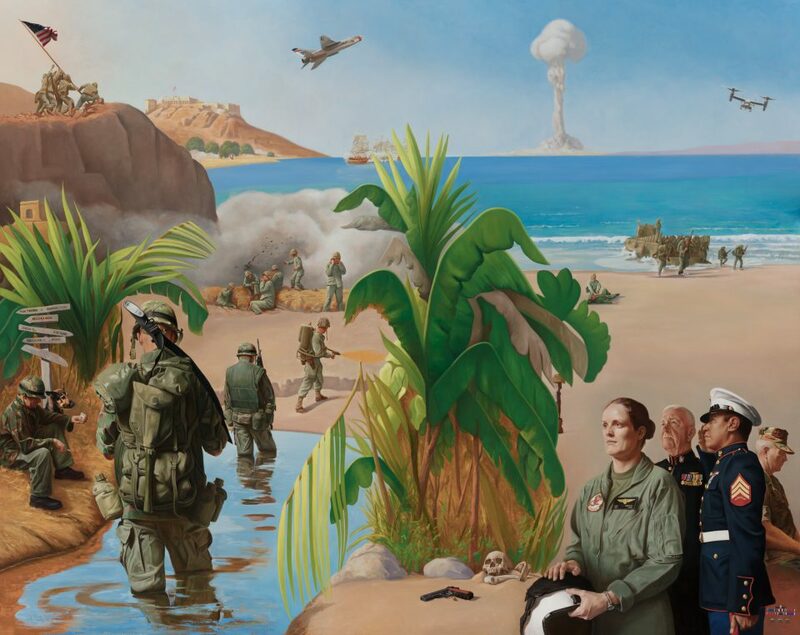 The exchange began in 1974 and is the longest-running military exchange partnership between any two nations. The yearly exchange promotes good will and sharpens military readiness between the nations as well as provides opportunities for cultural understanding among its participants. 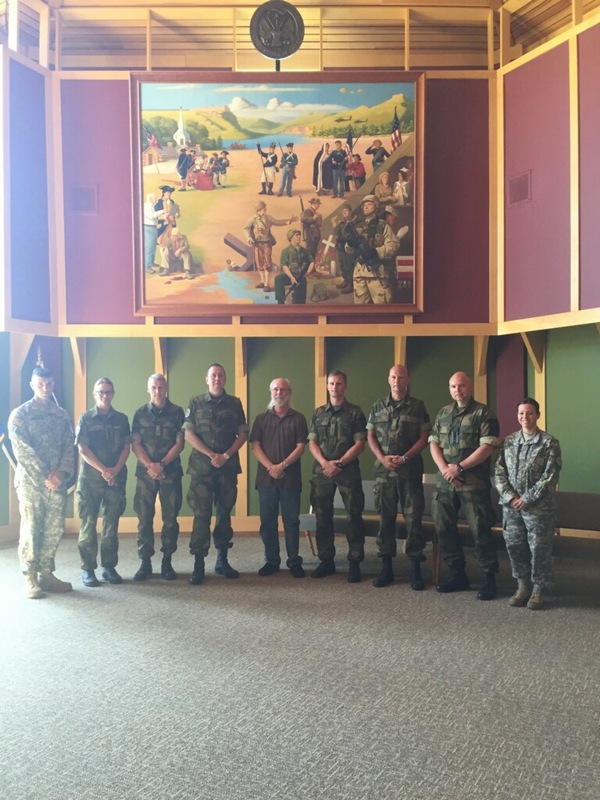 The Norwegian Home Guard Soldiers are staying at Camp Ripley. Kapsner presenting Lt. Colonel Vaagland with a print of the US Army from the Project. By vetsart in Uncategorized on June 21, 2016 .